TIR represents "Transport International de Marchandises par la Route" and is a Customs Agreement concerning the international transport of goods. 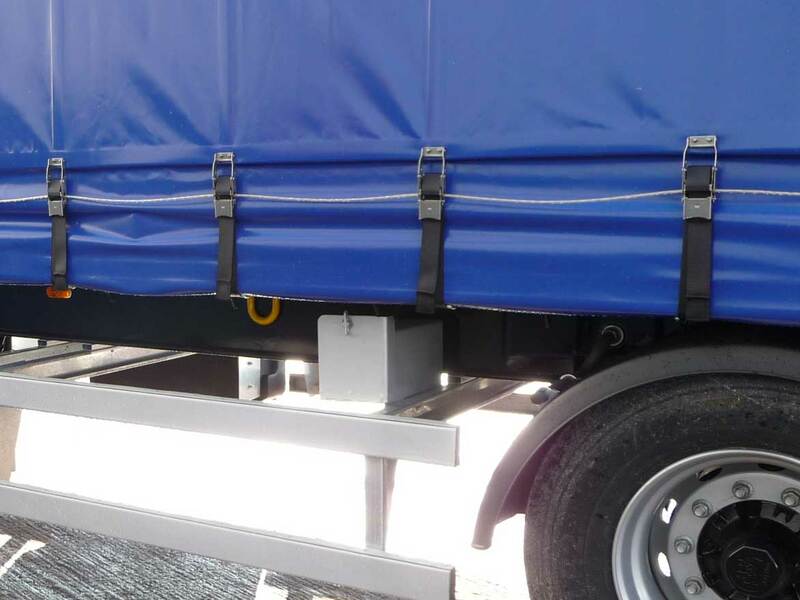 TIR cables are commonly used on "Tilt" trailers, open-top containers and in the tarpaulin industry. The anti-theft TIR cable is typically a plastic coated steel cable which can be threaded through holes located on each curtain buckle once they are closed. Thi sprevents the buckle from being opened without first breaking a seal and un-threading the cable again. Commonly, TIR cables are would round a wrapper located on the front bulkhead.